If you enter your travel dates the website will help you plan your trip by showing you events, activities and places to stay that are available during those dates. Or you can just scroll on down the page to explore everything the Hocking Hills has to offer! The most popular of all the Hocking areas is Old Man's Cave, located on State Route 664. Here at the Upper Falls, the Grandma Gatewood Trail begins its six-mile course connecting three of the park's areas. 'Cabins' range from small peaceful romantic cottages to medium family-size cabins to large lodges that will accommodate multiple families. Our availability search engine can help you find the perfect place to stay quickly and easily. In the southernmost reaches of Hocking Hills is Ash Cave which is perhaps the most spectacular feature of the entire park. Ash Cave is the largest recess cave in the state. Cedar Falls itself is the greatest waterfall in terms of volume in the Hocking region. In the mid 1800's, a grist mill was built above the falls to utilize this water power for grinding grain. There are canoe launches, and rentals, at Lake Hope and Lake Logan State Parks. On the Hocking River several liveries offer varying length canoe, kayak, and raft trips on the usually leasurely moving waters. A great way to spend a hot summer days. 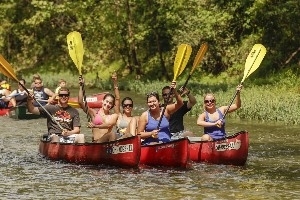 Full moon river trips are also offered during the summer months! Some of the largest and most exciting ziplines in the mid west can be found here in the Hocking Hills. With 9 State Park and Nature Preserves, 3 State Forests, a National Forest, and local and metro parks, plus a large section of the Buckeye Trail, you simply will not run out of places to hike. Trails range from extremely rugged to as easy as the preverbial 'walk in the park'. Portions of the trails at Cedar Falls and Conkle's Hollow are marked wheelchair accessible. During the Spring, Summer, and Fall months the campgrounds are bustling with activity. 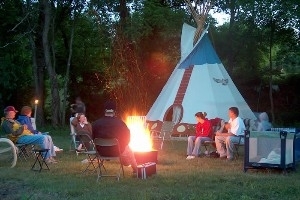 Many of the area State Parks offer camping as do wide variety of privately owned campgrounds that may be less crowded. 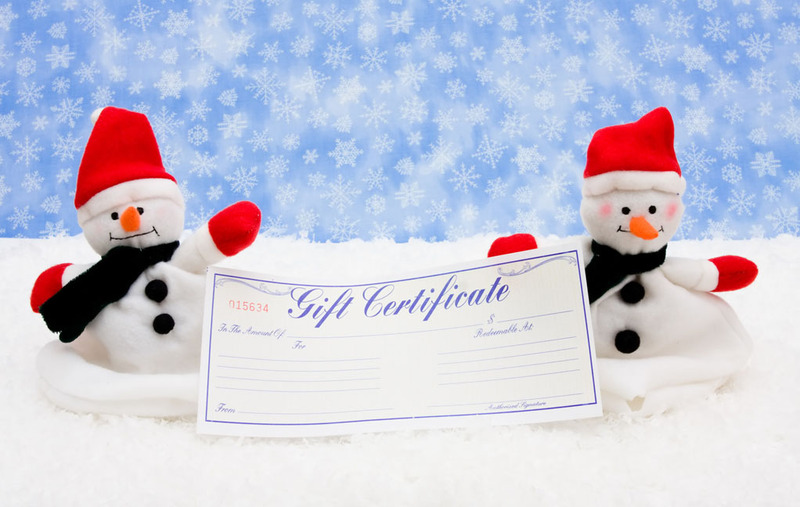 No matter what time of year you visit the Hocking Hills we will have something for you to celebrate. The region is teeming with festivals from moonshine to pawpaws, lillies to coal, ribs to apples. Whether your passion is for the area's rich cultural history, the culinary scene or distinctive blend of bluegrass and country music, we have a festival for you. If you can stay a few days in the Hocking Hills there are several nearby places you may want to see. Let the Hocking Hills serve as your "home base" and head out in a different direction each day. Most day trips are less than a one hour drive. the Hocking Hills App - FREE! Now it is easier than ever to stay up to date. 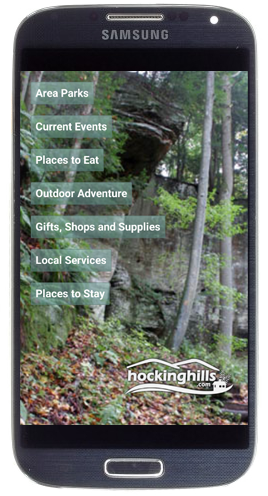 The Hocking Hills App is updated every day! Download the App and bring it with you as a quick reference to help find your way around. 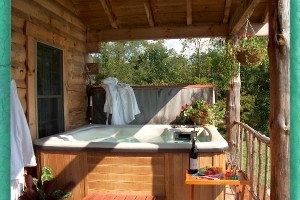 With the Hocking Hills App you can receive special deals on lodging, food and activities. Stay abreast of changes to our calendar of events. The information provided in our App will make your next Hocking Hills visit even more enjoyable. Hocking Hills Weddings More couples tie the knot in the Hocking Hills than any other destination in Ohio. 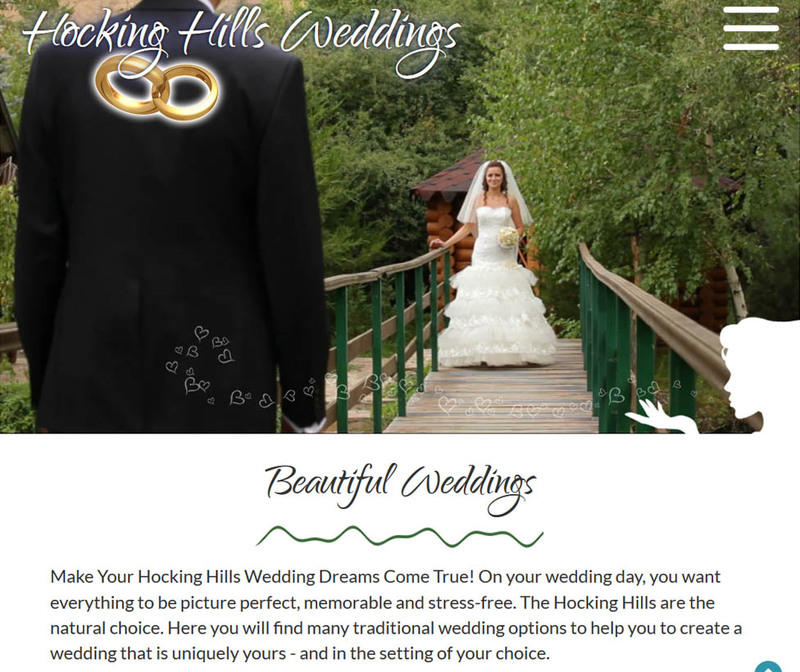 You'll find everything you need to start planning your perfect Hocking Hills wedding right here, from wedding chapels to outdoor weddings to florists, caterers, honeymoon cabins and more. Ranging from an intimate wedding for two, a small wedding with a few guests, or a larger wedding with family and friends, you can find it here. There are a wide range of wedding venues and a great selection of wedding packages from which to choose.